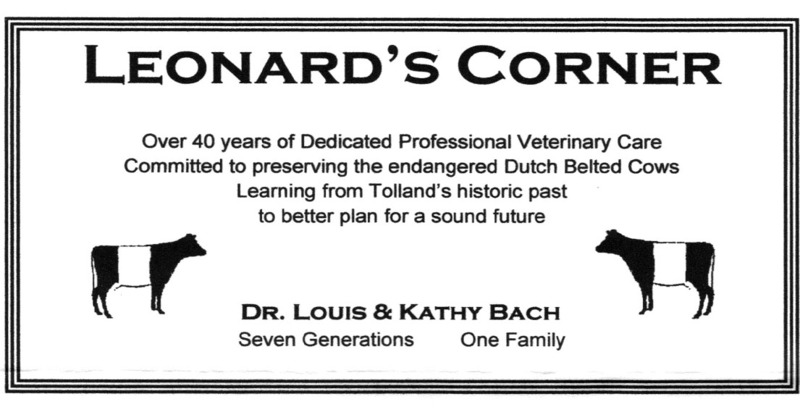 The name of the Society shall be THE TOLLAND HISTORICAL SOCIETY, INCORPORATED. a. Maintaining museums, programs and exhibits to educate the public. b. Preservation of such material as may be deemed worthy of a place in its archives. c. Preparing programs and exhibits, both in the museums and in the local schools, and offering tours especially designed to enhance the curriculum and provide in- struction in local history. d. Making available books, newsletters, monographs and other publications and printed and/or electronic material in order to make history accessible to members and the community as much as possible. e. The holding, buying, selling and leasing of property, real and personal, and the oper- ation and maintenance of such property necessary to carry out the purposes listed above. This Society shall be a nonprofit organization. No officer or member shall receive payment for services, except reasonable reimbursement of expenses, unless such payment shall be approved in advance by more than 50% vote of the then elected Governing Board. The fiscal year of the Society shall be from June 1 through May 31. Any person, family or business interested in the purposes of the Society may become a member by making application to the Society. Dues shall be paid with enrollment. Dues for these classes of membership will be designated by the Governing Board. Contributing membership is provided for those who wish to make a monetary contribution beyond the nominal dues for Individual and Family memberships. Each membership designated Individual or Corporate shall carry one vote in the Society. Family, Contributing and Life memberships shall be entitled to one vote per adult, with a limit of two votes per membership. Members whose dues remain unpaid for one year after the annual meeting at which they have become payable shall be considered “inactive” and failure to pay dues for the subsequent year shall result in termination of membership by the Membership Chairman. Honorary members shall be persons who have rendered significant service to the Society, and during the pre-determined term of Honorary Membership shall not be subject to dues and will have all the benefits of paid membership. Candidates for Honorary membership may be elected at a meeting of the Governing Board for such term as the Board shall specify. Honorary membership may also be extended to persons holding positions in the community as designated by the Board (such as members of the clergy, or the town manager) for the duration of their terms of such service. The Governing Board shall consist of the Officers of the Society, and eight (8) elected Directors. The Operating Board will include Chairpersons of Standing Committees. These Committee Chairpersons will be appointed by the Governing board. The Governing Board shall have general supervision and planning responsibilities for the affairs of the Society. The Operating Board members will bear responsibility for its day-to-day functioning as assigned. a. Regular Meetings – There shall be at least four (4) meetings of the Governing Board per year. Place, date and time shall be at the discretion of the Board. b. Special Meetings of the Board can be called by the President, and/or shall be called upon the request of three members of the Board. c. Operating Board (Committee Chairpersons and the Governing Board) will meet at least once a year. d. Notice of all board meetings and special meetings shall be given to the Directors at least three (3) days before the scheduled date. e. Chairpersons may be requested individually to meet with the board as circumstances demand. i. Receive annual reports from the President, Treasurer and others as deemed appropriate by the President. ii. Transact such business as may properly come before the Society. More than 50% of the elected members of the Governing Board shall constitute a quorum. The Officers of the Society shall be President, Vice-President, Recording Secretary, and Treasurer. They shall be elected by a majority vote of the general membership present at the annual meeting in the odd-numbered years, for a term of two (2) years. The President shall preside at all meetings of the Society, the Governing Board and the Operating Board and shall make an annual report to the general membership on the business conducted by both the Governing and Operating Board. The President may, in the absence of the Treasurer, issue and endorse checks and conduct any other financial transactions that might normally be required of the Treasurer. The President shall appoint a Nominating Committee, and shall be an ex-officio member of all committees except the Nominating Committee. The President shall prepare an agenda for each regular meeting of the Governing Board and shall provide a copy for each member at least three (3) days prior to the meeting. Members may suggest agenda items in advance of that date. The Vice-President shall in the absence of the President perform all the duties of that office. The Recording Secretary shall keep minutes of the Governing and Operating Boards and copies of all other meetings of the Society. Upon the approval of such minutes by a vote of the Board, copies shall be placed in the files of the Society at its offices. Reports of the Treasurer, Museum Directors and other Directors and Chairpersons may be submitted in writing or electronically and may be appended to and become a part of the official minutes. The receipt and disbursement of all funds of the Society shall be under the direction of the Treasurer. The Treasurer shall deposit all monies in a bank designated by the Governing Board and shall pay all bills for goods and services that are incurred by the Society. He/she shall authorize the opening of any charge accounts, credit or debit accounts. The Treasurer shall present statements at all meetings of the Board and shall give a summary report at the annual meeting. He/she shall prepare financial reports required by agencies of Federal, State or Town government. He/she shall oversee an audit if required. In addition to their duties as members of the Governing Board, the Directors shall have limited oversight of the committee responsibilities found in their section. Four (4) Directors shall be elected by a majority vote of the general membership present at the annual meeting in each even-numbered year, and the remaining four (4) Directors shall be elected in the same manner in each odd-numbered year and each shall serve for a term of two (2) years. Committee Chairpersons shall bear individual responsibility for their committee function. Committee and chairperson positions are appointed/reappointed in the odd numbered years by the Governing Board. Responsible for maintaining and preserving electronic and hard copy files, documents, photographs, research library and genealogical information and assisting members and the public with research. Section 2 — Fund Raising Director is responsible for raising funds to cover the expenses of the Society through existing and future projects. He/she will coordinate the sale of advertising and/ or sponsorship for the society publications and webpage, contribution requests to members and other community resources; endowments and memorial donations and bequests. 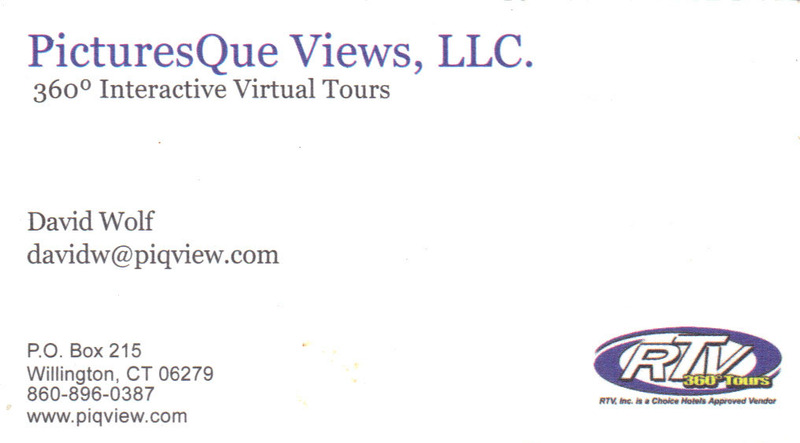 a. Antiques Show Chairperson is responsible for all planning and execution of show. b. Retail Sales Chairperson to arrange for sales of publications and other materials through museum gift shops, retail sales outlets and special events. c. Endowments and Gifts Chairperson will expand fund raising base to include these areas of charitable giving. a. Chairperson for Volunteers for the identification recruitment and retention of a volunteer group, with emphasis on the talents, abilities and interests of new members. The Program Director is responsible for arranging suitable programs for presentation to society members and the public. a. Hospitality Chairperson for securing and serving refreshments for programs, meetings, including the Annual Meeting, and special events, as requested by and in cooperation with the Program Director, Museum Directors and others. The Museum Directors have overall responsibility for managing the daily operation and maintenance of the museums and their access by the public in accordance with the purposes and policies of the Society. Duties include, but are not limited to, organizing the volunteers who support the museum; planning educational and historic displays, oversight of interns and youth groups, planning and arranging museum special events, private tours, scheduled use of facilities for filming and seasonal operations. The Museum Directors will, in cooperation with the Chairperson of Buildings and Grounds, have oversight of the physical properties and their proper and historically appropriate maintenance. The museum directors will also provide educational programs for local schools in cooperation with the school system and other organizations. The Courthouse Museum Director will coordinate the collection of rent and negotiation of the lease with the society President and Treasurer and appropriate parties, if applicable. 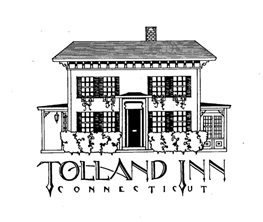 The Jail Museum Director will coordinate the renewal of the lease between the Town of Tolland and the Tolland Historical Society with the society President and Treasurer and appropriate parties. The Public Relations Director responsibilities include the promotion of public awareness of the Society and its offerings and the importance of history to the community through all available media and resources. a. Publications Chairperson – responsible for preparation and publication of books, pamphlets, brochures and other printed material for the promotion of the Society and local history; editing and publication of a newsletter to be published at least quarterly, Maintenance of webpage and Facebook. b. Publicity Chairperson – responsible for print and electronic coverage of Society events. Section 1 -In addition to those Committees previously listed, Standing Committees may be formed by request to and the affirmative vote of the Governing Board. Unless the motion creating a Standing Committee provides otherwise, one may also be appointed by the President. Terms for Standing Committees are renewed in the odd numbered years by the Governing Board. a. Chairperson of Buildings and Grounds – Responsibility for the upkeep and maintenance of properties owned by the Society, including exterior and interior integrity and appearance of buildings, snow removal, grass cutting and gardens, in historically appropriate manner. Cooperates and coordinates with owners of leased property, as well as tenants of Society premises, contractors and volunteers. b. 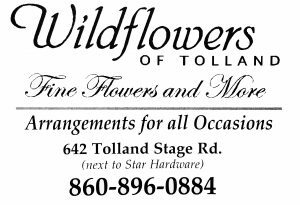 Collections Administrator – Responsible for accessioning/de-accessioning items for preservation and display in the collections of the Society, both artifacts and archives, and their inventory and appropriate storage. He/she is also responsible, with the museum directors and archivist, for preparation and implementation of plans for prevention of and recovery from disasters such as fires and flooding. c. Media – responsible for obtaining and distributing photographs and film as requested for webpage, Facebook, electronic and print media, advertising and permanent records. If a member of the Governing Board or Operating Board Committee Chairperson, or Standing Committee Chairperson resigns, or is otherwise unable to fulfill the duties of his or her office, the Governing Board shall appoint another member of the Society to fill out the unexpired term. A member of the Governing Board or Operating Board may be removed by a vote of more than 50% of the elected Governing Board. The by-laws of the Society may be amended by a two-thirds majority of the legal votes cast at any regular or special meeting of the Governing Board provided written notice and a copy of the proposed change has been made available at least fifteen (15) days in advance of such meeting. Upon the dissolution of the corporation, the Governing Board shall, after paying or making provision for the payment of all of the liabilities of the corporation, dispose of all the assets of the corporation exclusively for the purposes of the corporation in such manner, or to organization or organizations organized and operated exclusively for charitable, education, religious or scientific purposes as shall at the time qualify as an exempt organization or organizations under section 501 [c] (3) of the Internal Revenue Code of 1954 (or the corresponding provision of any future United States Internal Revenue law) as the Governing Board shall determine, and which organization or organizations have as their purpose or purposes those which most nearly approximate the objects of the Tolland Historical Society, Incorporated. These By-laws were unanimously accepted by the members present at a general meeting of the Society on June 1, 1981. Amended March 7, 1983, April 4, 1983, June 1, 1992, August 30, 1993, June 14, 1999, and June 10, 2012. These By-Laws are intended to be reviewed in 2014.